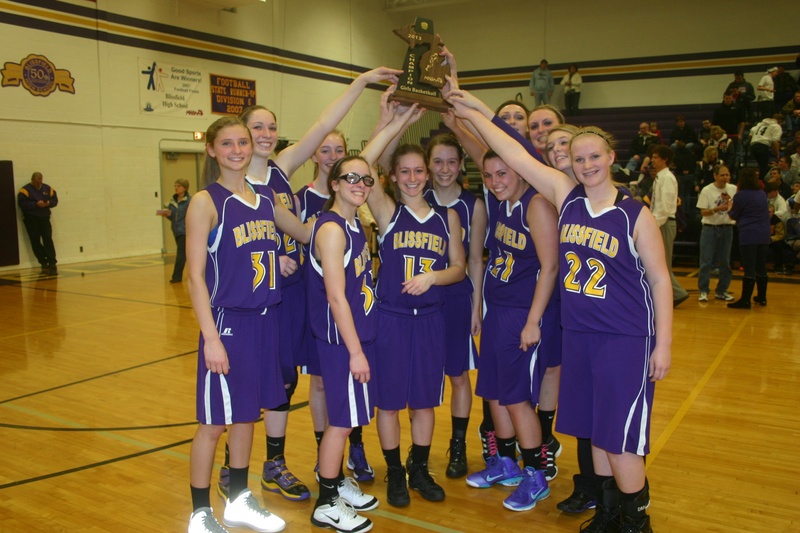 The Blissfield Royals will advance to regional play this week after defeating the Whiteford Lady Bobcats Friday night on their home floor, 39-26. The Lady Royals, though having trailed early, led Whiteford 24-18 at halftime, then continued on for the women’s basketball district championship. For more, please see the March 6, 2013, edition of The Advance.